China’s grocery market, already the largest in Asia, is forecast to grow by a third by 2022, according to IGD, the international grocery research organisation. Next year, it is expected to account for 16% of the world’s middle class consumers. With this rise in living standards and spending power comes exposure to other cultures and foods and, ultimately, changes in aspirations, values and diet. These changes are happening not only in the ‘megacities’, such as Shanghai and Beijing, but in what have until now been less developed ‘tier two and three’ cities, such as Chengdu and Wenzhou. The consumer base is hundreds of millions – Chongqing, a tier-two city in the west, has a population half that of the UK. As spending power increases, so does the volume and quality of meat consumed – in a country of 1.4bn people where 60% of the meat eaten is from pigs, that is a lot of pork. 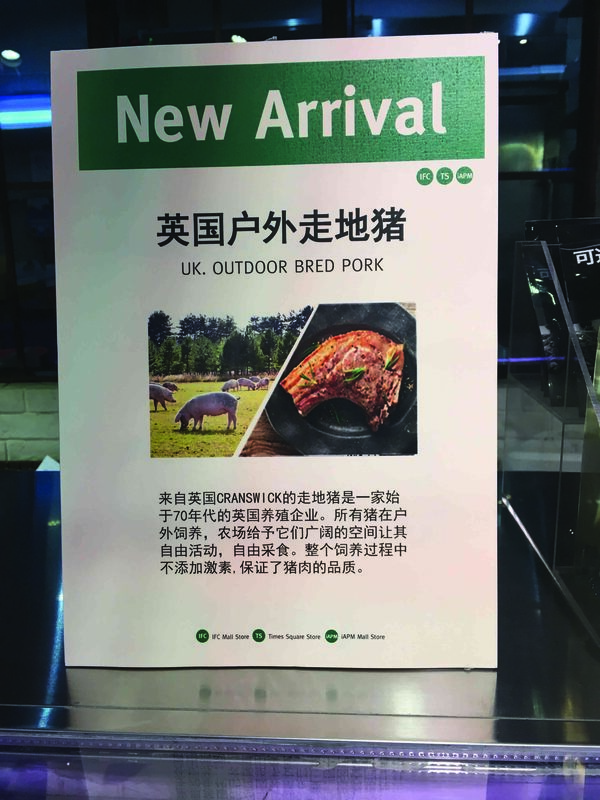 The Chinese government has moved to improve the efficiencies of its pork industry, which is mostly made up of small backyard farms, but the increase in production has so far not been able to satisfy demand, said Jonathan Eckley, exports manager and head of Asia Pacific at AHDB. Recently, these efforts have been further hampered by the spread of African swine fever (ASF), as reported last month. Chinese productivity is forecast to fall by 20% in 2019, as a combination of slaughtered stock, now in excess of one million pigs, ASF restrictions and producers leaving the industry takes its toll. The Chinese Agriculture Ministry said the national pig herd had decreased by 17% in February, compared with a year ago, with sow numbers 19% lower year-on-year. As a result, pig prices are soaring in China and demand for pork from the rest of the world is growing. There are anecdotal reports that high demand from China is bolstering EU pig prices. All of this presents big opportunities, short-term and long-term, for the UK pork industry. In 2018, the UK shipped 81,500 tonnes of pork and offal worth £77.5 million to China, 12% up on 2017. This represented about a quarter of all UK pigmeat exports by volume, and 16% by value, more than double the figures for 2014, according to AHDB. Although overall Chinese pork imports fell, the UK increased its market share to 5%. The market remained strong into 2019. In January, the UK exported 7,800t of pig-meat to China, 56% up year-on-year, worth £8.3m, a 74% increase. Currently, three pig processors – Karro, Cranswick and Tulip – export to China, with others seeking approval. The majority of the market in China is for low-value, fifth- quarter cuts, such as ears, trotters, heads and bones, which the Chinese value highly. This is important for maximising value for every British pig. China takes about 46% of UK offal export volumes, and 41% of export value, according to AHDB. About 4% of UK pork is exported to China, too. “The commodity market is very important to us because it helps balance the carcase by taking products with lower residual value,” said Mr Eckley. 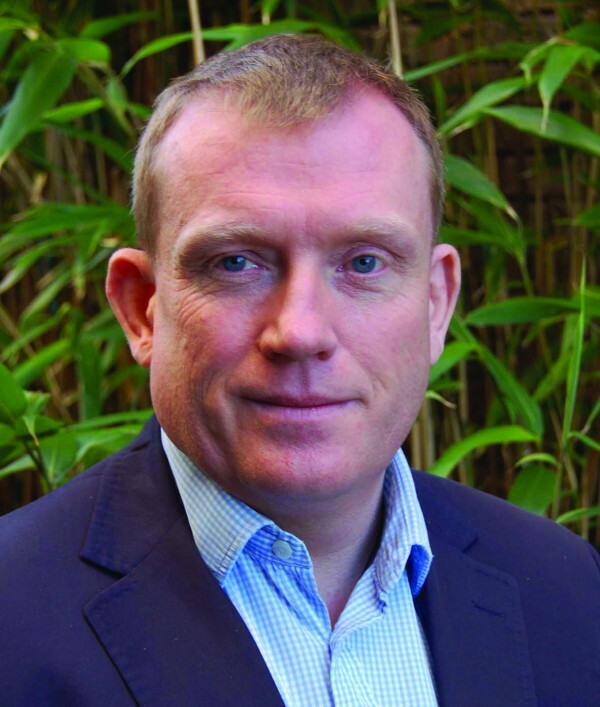 Jonathan Eckley, exports manager and head of Asia Pacific at AHDB. However, longer term, there will not be massive year-on-year gains in commodities, he predicted, as China restructures its industry to become more efficient. “The opportunity to grow exports of quality products is massive though”, with demand for safe, quality, imported meat likely to continue to grow,” he said. 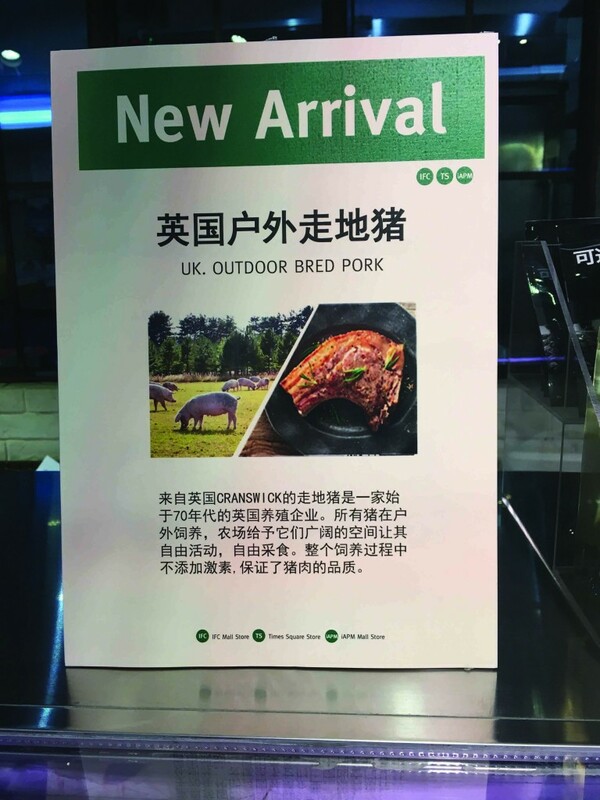 As well as the relationships that have been carefully built by AHDB’s export teams, UK government staff and pig processors, British produce appeals to the Chinese market. 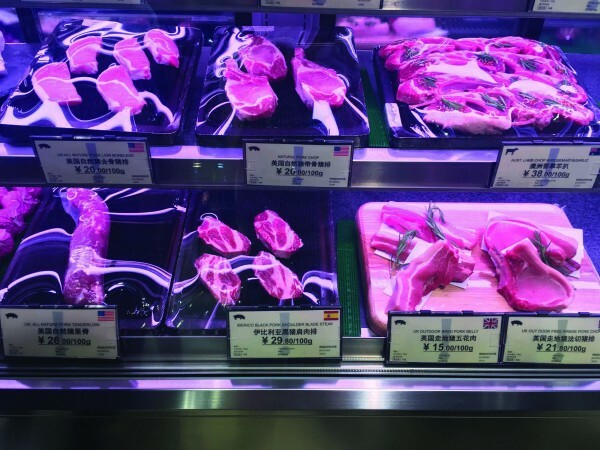 “People will look for pork from the UK because of the high quality that it represents,” said Mr Eckley. A number of major domestic food scares, most recently ASF, have left many Chinese consumers anxious about food grown and processed in their own country. Those with money buy from abroad – 60% of consumers say imported products are more trustworthy – and European food in particular is seen as safe. ‘Brand Britain’ also comes with its own cultural clout, full of tradition and heritage, which Chinese consumers value: 50% of respondents associated British food with positive words and phrases in research by ICM and AHDB in 2017, with messaging around heritage, safety, nutritional benefits and story-telling found to do well. UK exporters are developing a higher quality offering, with messaging around welfare, provenance and ‘natural’ production, such as outdoor reared, Mr Eckley added. This is happening in the increasing number of high-end and online retailers, which is where the biggest opportunities for high value products now lie, he said. China is now the world’s biggest importer of e-commerce goods and around 10% of the country’s population now buy imported goods using e-commerce platforms. For individual farmers, selling online would be hard. A much better approach is to work closely with a processor, Mr Eckley suggested. “It’s about producing efficiently and to a high standard to maintain our high reputation,” he said. In the medium term, the UK’s aim now is to get processed pork products, which hold added value, into the market. Germany and Spain, the two biggest pig meat and pork exporters to China, are already selling processed products, such as hams and salamis. But China will remain the biggest prize of all. There are ‘huge opportunities’ in China, according to Ed Wright, Cranswick’s export director. “We are seeing a trend change and it is becoming more apparent that the Chinese have a growing middle class that are keen to try something different. It’s easy for the younger generation to travel and try new cuisines,” he said. With around 55% of the UK’s market for pigmeat and pork in China, Cranswick is an important player – it is currently shipping around 70 containers a week around the world, with one third of its production going to China. Most of this is fifth-quarter products, such as heads and bones, helping to balance the carcase. But the company is also developing its premium product offering, which is where it sees big opportunity. Cranswick is selling premium prime cuts into high-end retailers. But it is difficult to be price competitive, so it is also developing its online offering through JD.com and tmall.com, and using social media. The company is doing critical work in developing the market for British produce by building relationships and brand recognition. It even has an office in Shanghai. Last year was tough on sales due to the volume of pigs in the China, but Mr Wright expects ASF to provide an opportunity to increase exports. “The world is going to grow pigs for China,” he said.